If you’re looking for the perfect gift for your loved ones this holiday season, look no further! Whether you’re looking for a unique, customized gift for your child or want ideas for a friend who’s an avid 3D printer with their own setup, this is the post for you. 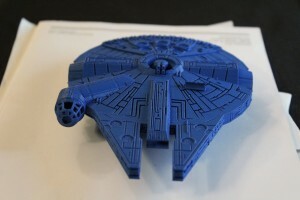 Plus, you don’t need your own printer to give these awesome 3D printed gifts! You can send your ideas to a company like Shapeways for printing. Have you ever played a game or watched a movie and thought, “How cool would it be to have an action figure of one of those characters?” only to find out no one makes it? With a 3D printer you can create your own collectible figures and memorabilia quickly, and even personalize them to your needs. There are thousands of free models out there you can download, or you can make them yourself with modeling software. You could even make new accessories for one of your existing figures—you just need to take a few measurements! Show someone what they truly mean to you by creating a custom trophy. With modeling software such as 123D or Autodesk Maya, you can design and create a trophy with whatever engraved text you want—you could include phrases such as “Best Dad” or “#1 Brother”. (How about a trophy for “Best Team Fortress 2 Teammate”?) Dedicate it to your favorite person for being such an amazing part of your life. Do you know someone who plays a ton of board games? Do they leave the pieces laying around or tend to lose them? You could print them a custom token holder to keep their games intact. Websites like Thingiverse offer thousands of community-made models just waiting to be downloaded and printed. 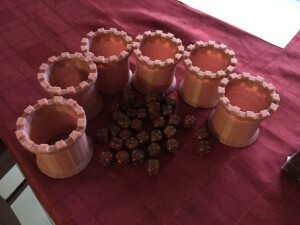 You can even find specialized dice holders for any occasion in dozens of cool shapes (like castles!) to hold all pieces in one place so they won't roll away. But what do you get for the person who already has a 3D printer? They need some gifts too! Check out these ideas to get that special person. Everyone who uses a 3D printer needs a great set of tools to accompany them. A perfect option would include a small screw driver set, tweezers, pliers, and flush cutters. 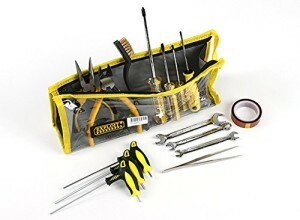 Chances are these tools would be strewn all over the place without some sort of tool box or storage bag. If you want your 3D printer area to look neat and tidy, be sure to include a place to put all these new gadgets. Imagine you just printed the coolest rocket ship, but it’s stuck to the build plate (the bottom of the printer). This is a 3D printer’s worst nightmare! If you can’t get the print off easily, you run the risk of breaking your model while trying to remove it—heartbreaking after spending hours printing. A good paint scraper, preferably one with a wide, sharp edge, is essential to pry stubborn objects free. Filament is the substance the 3D printer uses to create the layers being printed. (Think of filament as the ink in a normal printer.) Typically filament is plastic, but it can be made of different materials. It can also come in a variety of sizes and colors, but one thing is for sure, 3D printers go through it like crazy! It can be one of the best gifts you receive if you like to print a lot. 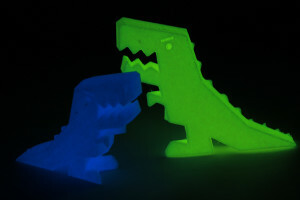 One of my personal favorites is glow in the dark filament! Whether you own a 3D printer or not, a fabulous gift idea is a week of camp learning the ins and outs of this in-demand skill. iD Tech has beginner to advanced 3D printing courses designed to teach all the skills your child needs to get going as a 3D printer using 123D Design and Autodesk Maya. They’ll learn a wide range of techniques to make amazing works of art. Who knows, maybe you’ll get a model your student made as a gift in the near future! Happy printing and happy holidays!